The historic Forum of Civics building and gardens are available to rent for special functions and wedding receptions. 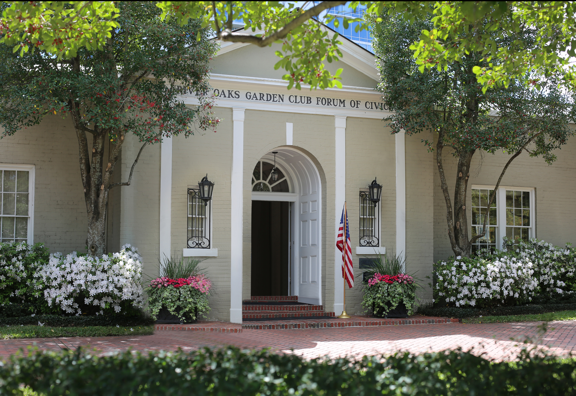 Built in 1910 and owned by the River Oaks Garden Club since 1942, the Forum of Civics building is of recognized historical significance and is listed in the National Register of Historic Places. Its gardens provide valuable green space in the heart of the city and are open to the public free of charge. 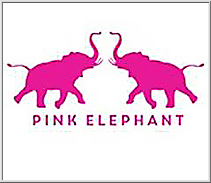 THE ONE DAY PINK ELEPHANT SALE: Friday, October 18, 2019. 9 AM - 5 PM at Bayou City Events Center. Paul Alan Cox, PhD -Ethobotanical Researcher will speak at The Museum of Fine Arts, Houston-Brown Auditorium on January 10, 2019. March 1-3, 2019 - The 84th Azalea Trail heralds the beginning of Spring! Paul Alan Cox, PhD, an Ethobotanical Researcher spoke at the Museum of Fine Arts, Houston. The purpose of River Oaks Garden Club is to stimulate the knowledge and love of gardening, to share the advantages of association by means of educational meetings, conferences, correspondence and publications, and to restore, improve, and protect the quality of the environment through educational programs and action in the fields of conservation and civic improvement.